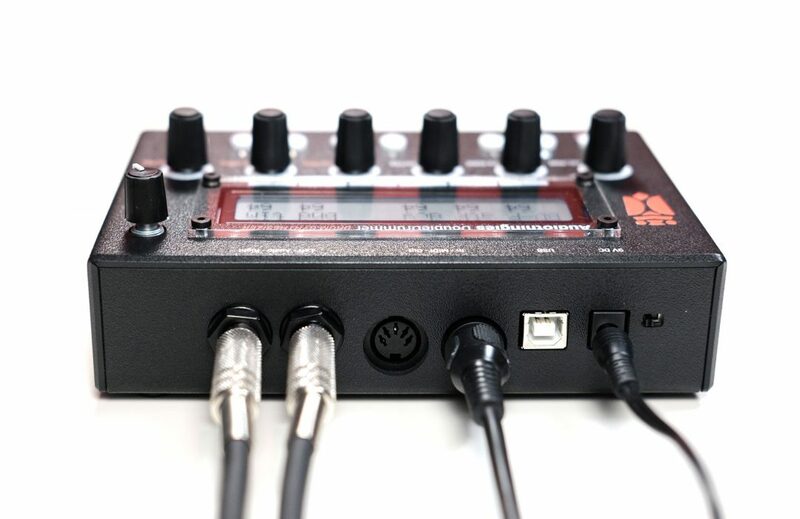 DoubleDrummer is a 12-voice drum synthesizer with sample playback capability. 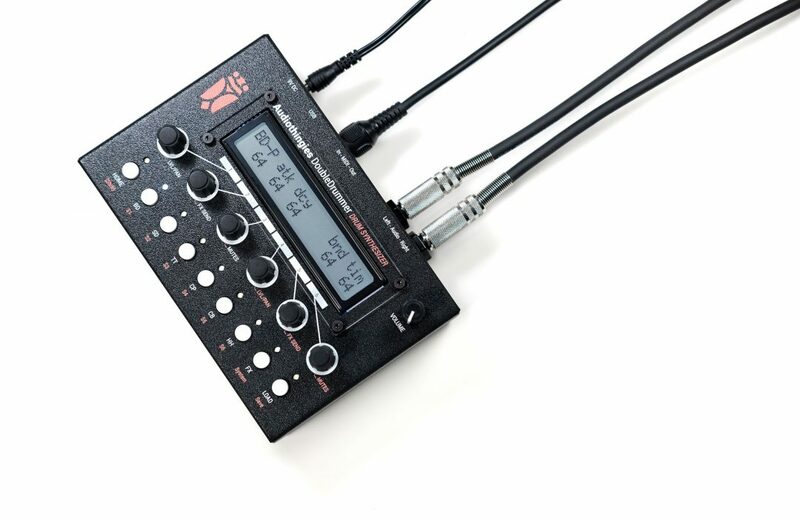 It is the perfect partner for your MIDI sequencer and your other hardware synths. 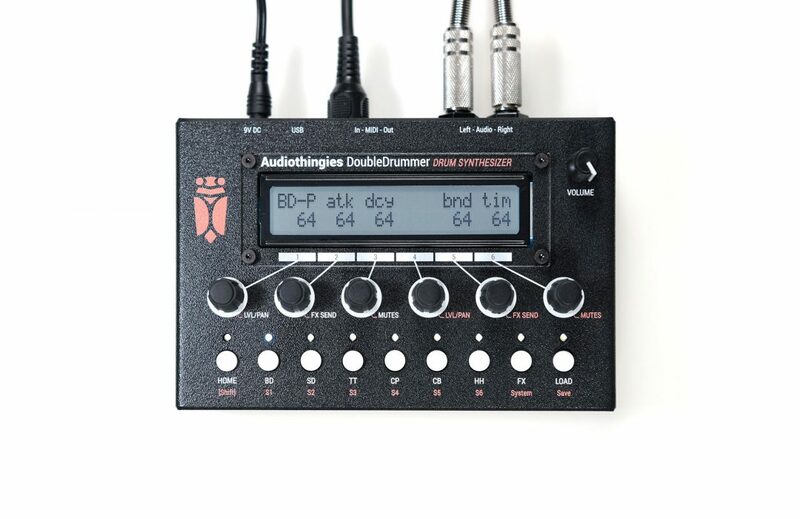 DoubleDrummer has 6 channels of drum synthesis (kick, snare, toms, clap, cowbell and hihats). 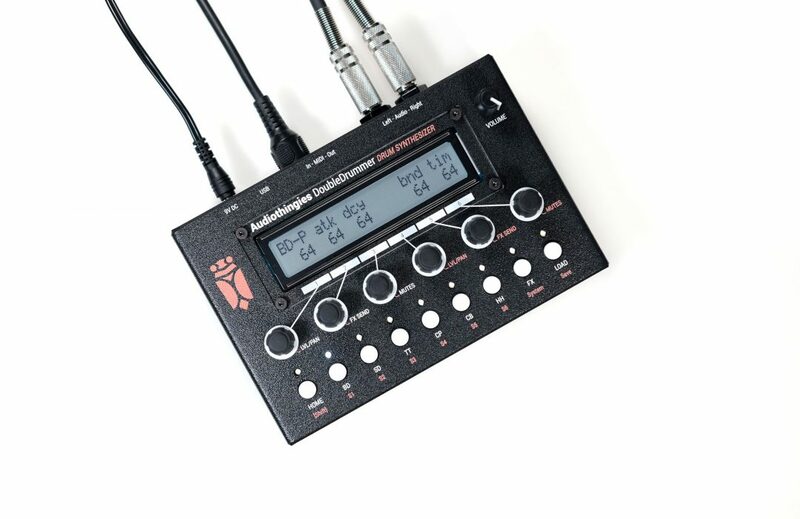 Each of these 6 channels has been fine tuned to provide a wide range of sounds within a limited set of parameters per channel for the best possible user experience. DoubleDrummer also has 6 channels of drum sample playback, with 56 internal drum sounds to choose from, within a wide variety of kick, snares, toms, cymbals, and other percussions. Each of those sample channels have tune, decay, comp and a 2-pole lowpass/hipass filter with frequency and resonance parameters. These channels can be useful to provide more natural sounding sounds that can be more difficult to synthesize with a limited parameter set, such as cymbals for example. But it’s also great for those “in ur face” 80’s kick and snare sounds. And if you really fancy these sampled sounds, the 6 main synthesis channels can be switched to sample playback mode, turning the DoubleDrummer into a 12-voice old-school sounding drum sample player. Color your sound: each one of the 12 voices is sent to a mixer with mute, drive, bit crusher, pan, level and fx send level per channel. 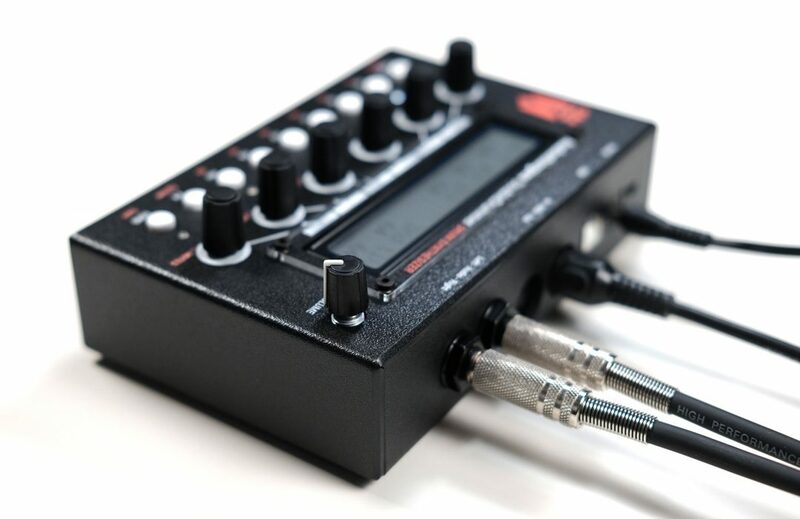 2 send FXs are available: delay and plate reverb. On top of that, you have a multi-FX on the master stereo bus. 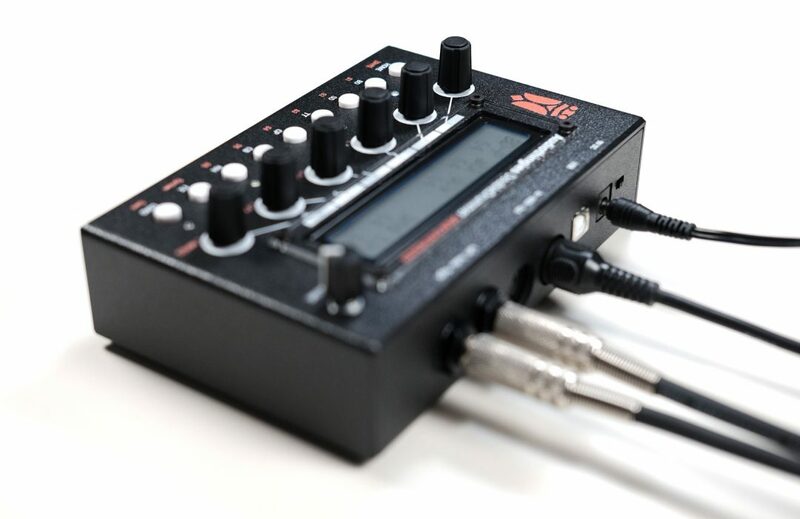 This master FX has drive, samplerate reduction, bitcrushing, and a 2 pole lowpass filter with frequency cutoff and resonance parameters. Available with or without PSU (you need a PSU to use it, 9V center positive, 5.5/2.1mm jack, 200mA minimum, it cannot be powered via USB).